Furniture is expensive. I could send my kid to a semester of college for what they want for some sofas! Luckily, you don’t always have to go out and buy new. If your existing furniture has good bones and a solid, sturdy frame, chances are you can reupholster it. Think it’s just for the pros? Nope. 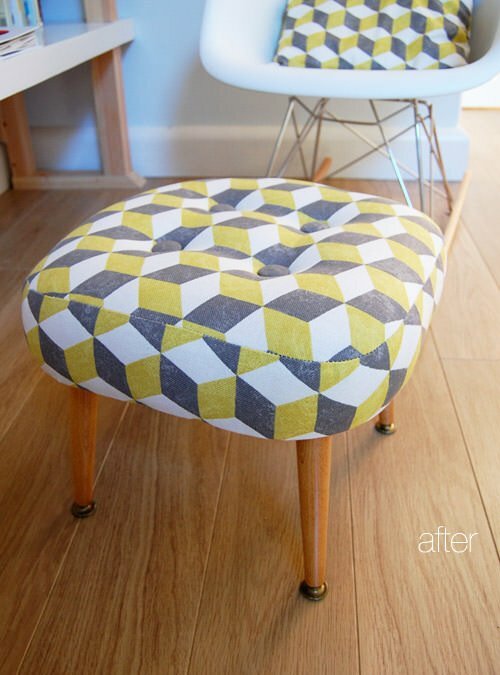 Here is our round up of projects that show how to reupholster almost anything! BTW, if all you want is a good tutorial on how to reupholster a chair, head on over to our post on TBD and we got it for you! First of all we have a reupholstery project from Jen at ‘Chronicles of Home‘. We figured we would start with the most requested reupholstery tutorial… how to reupholster a sofa! She has several different parts to this project, so be sure to read carefully! Lots of great reupholstery tips too. From ‘Brit + Co‘, learn how to reupholster a dining chair from the thrift store in just a few easy steps! 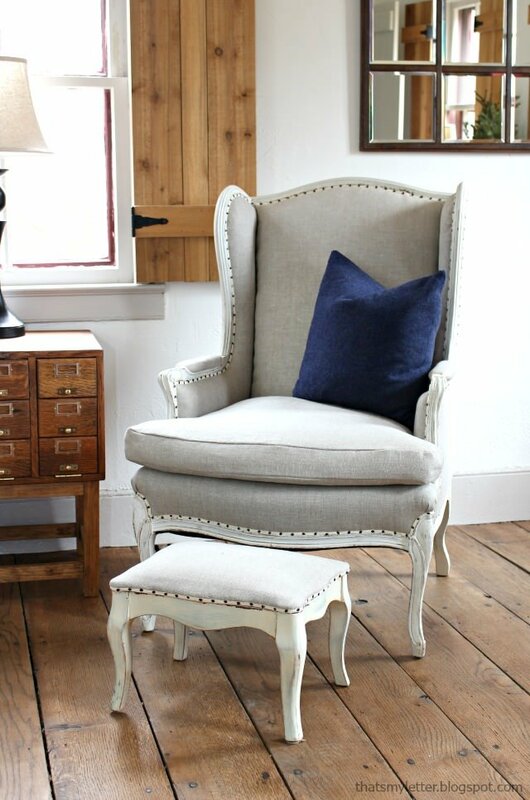 This tutorial is not just reupholstery though, because it’s a whole chair makeover! This reupholstered foot stool brings back the midcentury charm of this beauty. From ‘Design Sponge‘, this is a simple upholstery tutorial, and project! Bet you didn’t even think of this one! 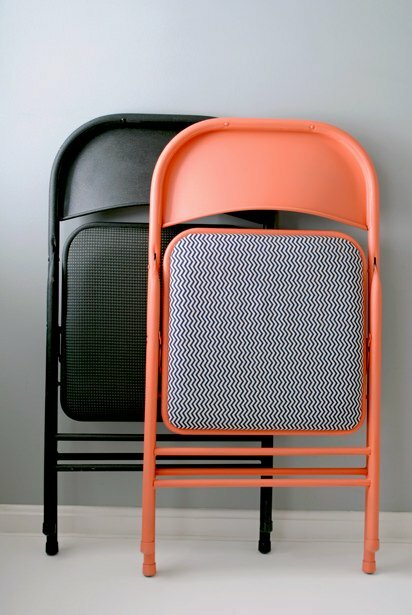 Learn to reupholster a folding chair with Erin from ‘Design for Mankind‘. From ‘How Joyful‘, take an ugly desk chair and reupholster it. Did ya know you could do this? 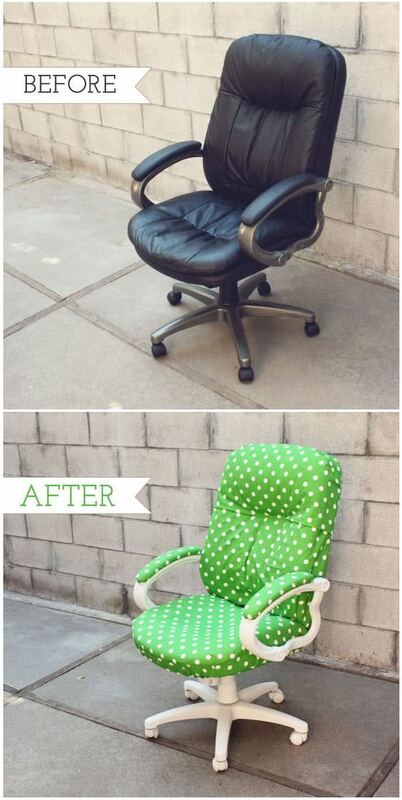 An office chair redo! Ok, just to prove that you can learn how to reupholster almost anything, over at ‘Retro Renovation‘, they have a good one. 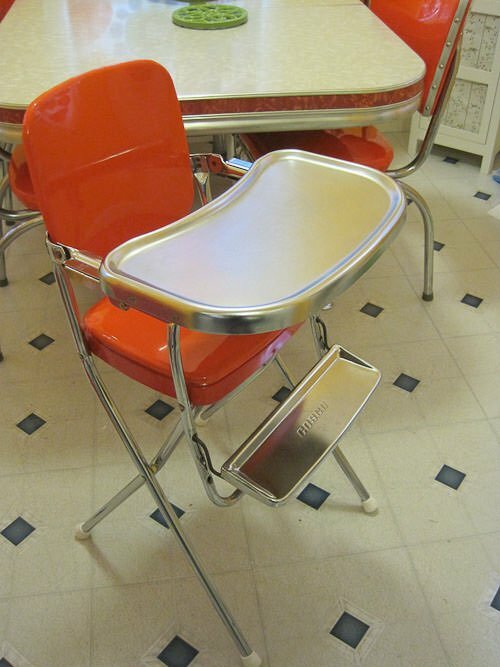 Melissa, one of their readers, used their video tutorial to reupholster a high chair from the 1950’s! Just goes to prove that you never assume a retro piece is beyond help. Another plus? I am assuming you could reupholster a more modern one too with this same tutorial. Want to reupholster a headboard that is outdated? 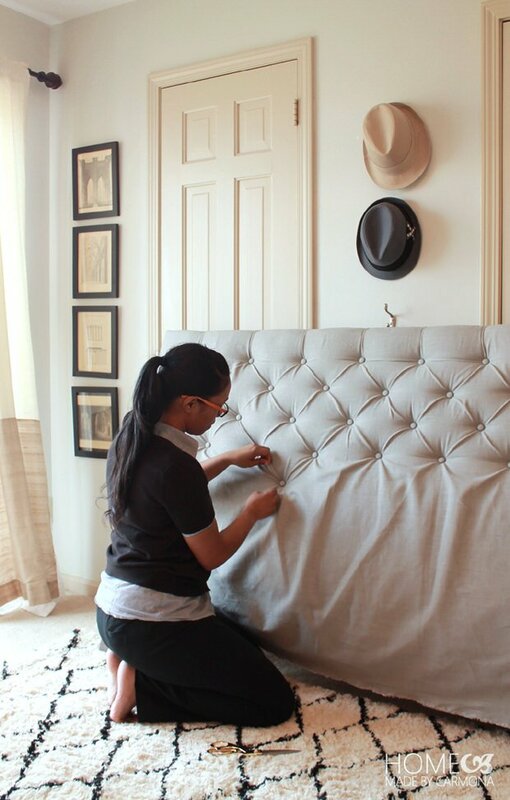 Cut away all the old upholstery, and then use the base to make a diamond tufted headboard from ‘Homemade with Carmona’. You could even just make a new one from scratch with her tutorial. You know those cool papasan chairs you always see at thrift stores that are so comfy? 9 times out of 10, their upholstery is too worn out (my nice way of saying gross) to sit on. 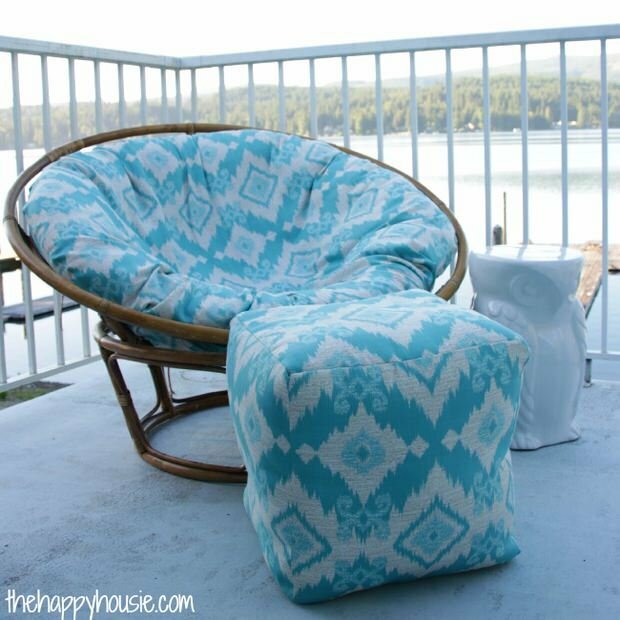 Yet you can learn how to recover a papasan chair with Krista from ‘The Happy Housie‘. 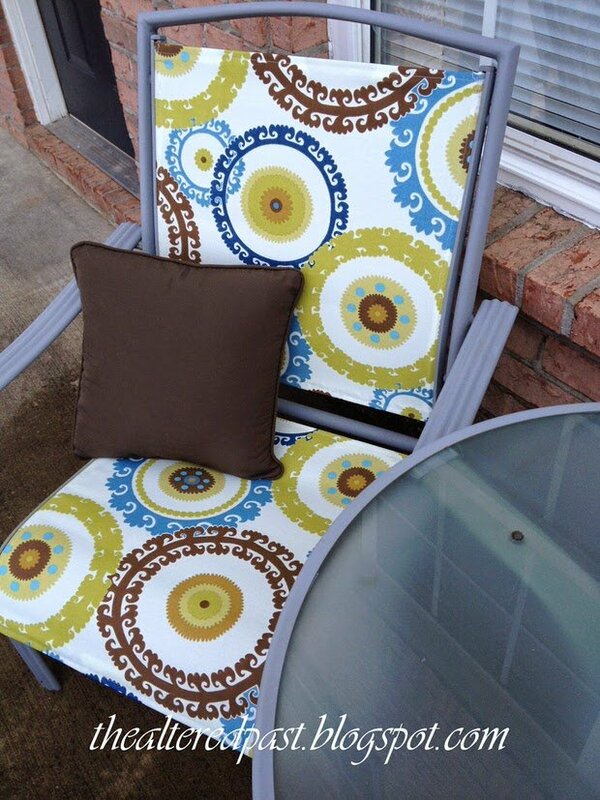 Reupholster patio chairs with this tutorial from ‘The Altered Past‘. Great way to spruce up your outdoor rooms! ‘Jaime Costiglio‘ shows us how to reupholster a wing chair and get professional looking results! Because who doesn’t want professional results? Finally, our last project for you is from Serena over at ‘Thrift Diving‘. She has a fabulous tutorial on how to upholster a bench. Lots of great photos showing the process. Ok, have we proven it? How to reupholster (almost) anything! 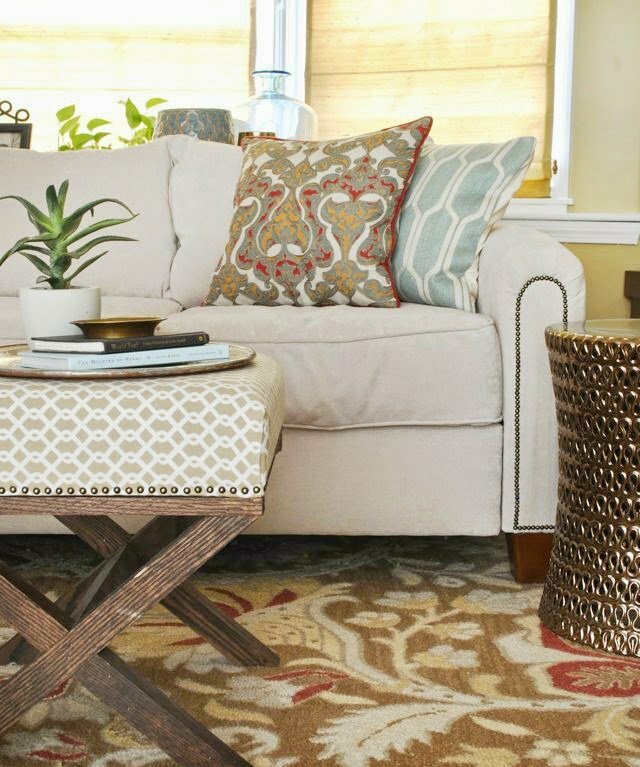 Also check out our post on Step On It- DIY Area Rugs and Hide The Ugly- Outdoors! Hi! For all those DIY upholsterers out there, Etsy has a great source for professional upholstery supplies and affordable too. It’s called UpholsteryMania. I learned upholestering from an adult education class & kept taking more, taught by a professional upholester…we bought our basic tools etc & he provided the more unusual ones…I’m not a professional but I’ve done many DIY things in our home & for family member …it’s close to professional but I’ve also had pieces done professionally…but I’ve seen things sold that I thought could have been done better.. Interesting projects but they are not really reupholstery, they are recovering. There is a huge difference. Upholstering, especially a sofa is a very skilled job, any one with a modicum of sense can recover. Maybe if the terminology was correct people would not get so upset! Thanks for all people who give free advises and share their knowledge. I would be still living in shabby house if not those people, as all I could afford is building material. Both, me and my husband are very handy, can do from sewing, knitting to welding, carpentry, brick laying. Thanks for this – so timeous for me and great to be able to do this and not have to consult a “professional”. Thanks again! 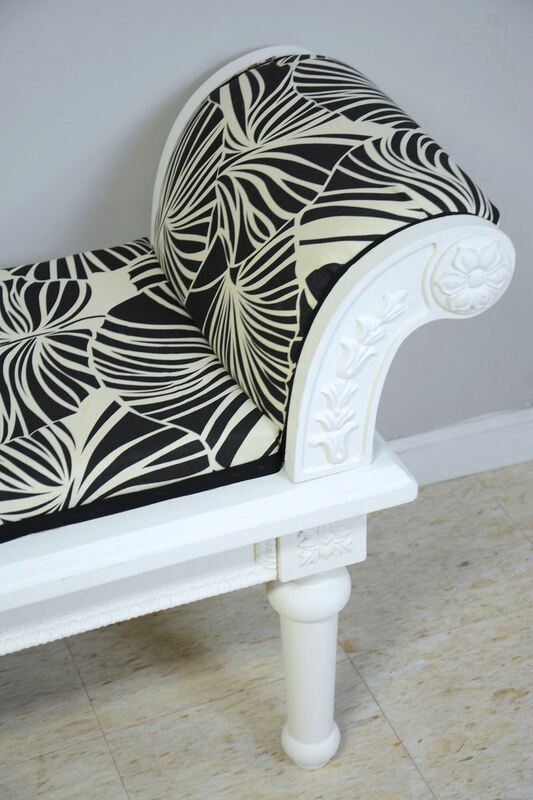 Adding new fabric breathes new life into any piece of furniture. All these ideas are really great and can certainly be done by anyone, maybe with a little practice. Thank you for sharing on how to reupholster everyday house hold items. I love getting instructions like these. You keep doing what you’re doing and share your work with everyone…. There will ALWAYS be SOMEONE or SOMBODIES who don’t agree. You have been called for another purpose. Continue your work in your purpose. Hi Sabera, Each one of the projects has a link back to the original instructions, you can go there to ask question about the project you are interested in… Hope that helps you get going with your project! Great blog. I laughed out loud at Katie Elliotts comment about you putting tradesman out of work. Give me a break. You can say that to any blogger. Showing how to paint a wall, isn’t going to put a nation of painters out of business. Just as showing how to upholster isn’t effecting anyone’s job. As you said most people can not afford to pay to have pieces professional done. Great job. now it takes time to do this kind of work and the vast majority of us will not want to do it, but for those of us who are willing to try, this is encouraging. Thank goodness for people who are willing to share their gifts/knowledge with others. Keep up the good work. Where did you get that mustard and grey geometric fabric from? I have a cushion in the same fabric and I would love to buy some fabric!! I think this is brilliant!&as for putting professionals out of business it won’t happen so long as ppl can afford their rates etc so this gets my thumb’s up!!!!! This is great. My dinning chairs are so bad from when my kids were younger and now I can make them look brand new! I’ll choose a darker fabric then the original light color they came with. Thank you! The tufted headboard or any tufted piece :: the fabric should be just a little looser so that right after or during putting a button in place, you are able to arrange the folds that are made are all facing up or down. Folds facing down to the right and left are most often used by the professionals. Good ideas and encouragement from you. I taught myself upholstery and crafty people can too !!! Great tips, thank you Ethika! It takes years of education and skills to learn upholstery. This totally trivialises the entire trade. You are putting skilled craftsmen out of work so I hope you are happy and can sleep well at night after writing your blogs. We don’t agree with you Katie, although we’re sure it’s an art, my bet is that if people could afford to pay reupholterers, they many times would. For many, it’s either DIY or not have it at all. For the creative of us, anyone has the right to be creative on their own terms and try new things, even if they are hard.Thanks for sharing your esteem for your trade though! We agree, its not an easy trade! I agree with you Kathy. I started with 4 kitchen chairs and then upholstered a recliner. Patience & attention to detail is key. Does it look professional? Almost….but I couldn’t afford to have the recliner professionally done. Can you give us pointers on finishing the corners? Definitely dont agree Katie Elliot. Most people would rather buy a mass produced and brand new couch than have it reupholstered as its cheaper. that’s kinda true these days. The price of a new couch is not that expensive, and buying all the upholstery supplies is just so expensive. But that wont stop me from implanting my style. I agree with you Kathy. With many people it is a case of needs must and if a person has an itch to try something why not give it a go. If nothing else it is a great way to learn to appreciate the Masters. Cudos Kathy! To pay to have something rehupolstered is for myself,not in the budget! I so appreciate this blog and your tips and tricks of the trade,for this working mom,it’s priceless!! If if you are smart enough to perform the task, then go to it. It does take practice and time. But it is not rocket science. So those need to realize many of us have this talent which we learned on our own with practice and patience. Just remember it is just a piece of furniture and fabric, if you screw up it is not a matter of life and death! Try try again and you will learn from your mistakes. Soon you will be just as pleased as the so called pros can do for you. Remember love for your art is in the eye of the beholder ! So true Kathy! I also agree with Katie that it’s a difficult skill. Most people would rather pay for it to be done than to risk the expensive fabric, the headache & the time to do it. Trust me, people will pay for it if they can. In the meantime, this is awesome for those who can’t afford to have it done. One other thought, I’ve heard so many people say that it’s better to just buy new than to reupholster. I hate that because some older pieces are being thrown out simply b/c of the cost to do it vs buy new. Many times they are better made. So DIY isn’t the only thing going against the reupholster. But I’ll keep mine in business when I can & enjoy the DIY tips for smaller pieces when I have a moment & gumption to tackle a project. I think your info is great! Thank you for the help! I believe that it might be challenging to reupholster bigger pieces, but it can be done. Thank you very much for this. I am going to try my hand on some projects. Reupholstery is very expensive. It’s cheaper to just buy new furniture than to get your old and worn furniture reupholstered. Even cheaper than buying new furniture, is to just do it yourself. That’s what I am doing. I don’t have $2k to get it done by someone else. But I have $500 to get the supplies and do it myself. I agree with Katie Elliot that it takes years of education and hands-on experience to be a skilled and knowledgable reupholstery professional but I don’t believe websites/blogs that support the DIYer are hurting the trades or minimizing it in any way. My wife and I own a reupholstery business and trust me, we get plenty of customers who had great intentions but the furniture was different than in the blog, it took way longer than they expected, they didn’t want to buy the tools or they chose the wrong fabric, etc. If you are a skilled craftsmen, you will never be out of work, unless, of course, the robots actually do take over, lol. What a gracious gal you are Kathy! These sites are free to come to for the public and for you to be criticized is so odd to me. I’m not a rocket scientist or professional upholsterer but I can figure out how to move about a site and read instructions and decide if it’s over my head or not… I would Love Love Love to find a reasonable upholsterer for my big projects and I am on the hunt for one. (I live in Orange County, Ca. any referrals would be appreciated?) For the time being I am going to attempt to make a cover for my sofa cushion, like a giant box pillow, first with an inexpensive fabric, then I will take it from there. Do you have any suggestions on how to sew heavy bulky fabric on a regular sewing machine? I’m thinking it just won’t work even with heavy gage needles, I would think the feed plate and possibly more would have to be a professional grade…regardless, thank you for effort with this site. Thank you Julie, for the kind comment! I honestly think you would be better off contacting one of the bloggers in our post about your sewing question, as they have more experience in this area! I’ve been able to sew fabric as heavy as denim on a home sewing machine, but beyond that? Good luck! I agree! Should people who have creative talent not learn new skills? Ridiculous comments from Katie. There is plenty of space for everyone. Go forth, learn and create your hearts out! Are you for real??? It also takes a lot of money to have a chair skilled craftperson do the job, but if u have that kind of money give them your upholstery jobs and I will thanks for all the tips, do it myself and put the money I saved in the bank for things I can’t do. Some people won’t even try to reupholster a couch or a slipper chair so don’t worry the trade is not going anywhere. I own a construction company and DIY hasn’t put us out of business. Most people don’t have the patience and that’s ok. ? I DOUBT highly us DIY upholsterers are putting professionals ‘out of business’ Katie. I absolutely LOVE learning and doing DIY projects for my home and I LOVE getting tutorials and tips from my fellow DIY’ERS . Also, I’m sure others will agree that we sleep VERY WELL at night being constructive and working hard and taking pride in our projects. great class on Craftsy todo exactly that. Kathy,I felt I needed to reply. I have been teaching upholstery and soft furnishings for 30 years so while I am appalled at the quality and finish of the project it is just a DIY job for..herself. I can imagine the delight and feeling of achievement of recovering her sofa. No it would not pass inspection, quality control. or paying attention to detail. Hopefully she be inspired to learn the craft properly. Having the correct tools and materials (Upholstery fabric must meet stringent fire retardation regulations )is a good place to start. The stripping of the furniture is a laborious and dirty job, butit must be done, you should never, ever cover over the old cover, a big nono, you would be amazed how much dirt and grime has seeped through.It’s a much dirtier and very difficult process to redo an antique piece , chair or sofa with horse hair filling stitched in. That would be a very labour intensive project but Wow! the job satisfaction.fantastic…all the time!! So keep trying and enroll to learn dying craft skill. We need more young blood in the industry.”Practice makes perfect,”they say in this part of the world ( Ireland). I have to agree that professionals in the field have the knowledge and tools to get the job done in half the time and probably a better result, but us DIYers sometimes get more satisfaction by doing the job ourselves. I have reupholstered one chair that belonged to my grandmother (probably over 80 years old) and am now working on the matching rocker. It took me several weeks from start to finish. I stripped the material (and you are right, it was a dirty job from dirt, grime, dried up straw, and dirty batting), filled holes, and refinished the wood. I have to admit that it looks good for a first timer and I know my grandmother would be proud that I didn’t throw it out and found a use for it in my house. She would also be proud that I did it myself. You are right the satisfaction that you fee when the job is donel is fantastic! I 100% agree with Kathy. I have several pieces of furniture that I am going to attempt to reupholster, and really appreciate tutorials that guide me in doing that. Otherwise, I would just be donating them to charity because I for sure am not able to pay someone to do it for me. There are plenty of people out there who are willing to pay the big bucks to have someone do it, and trust me, they are not out looking for tutorials to help them learn how to upholster. I don’t think this would take any business away from people who do this for their job!! In this economy, people are trying to preserve what they have and save money where they need to. Thank you for this blog. No bother to let it worry you about taking business away from professional upholsterers, not everyone has the same talents, everyone is certainly justified to try ANYTHING they want. I was disappointed. All you actually posted on an actual tutorial was the one chair. All the others were different websites. I expected to see instructions on how to do all these different items on your blog. I wanted to print every tut. down the line without having to go here and there. Like we said in the first paragraph of the post, it was a round up of great projects we found on the web for all of you… we apologize you found having to go to the sites for the instructions inconvenient! We wish we could be so talented as to have all those tutorials done ourselves, but we hope sharing them with everyone will make it easier for people to find the projects that help them the most! Although I highly appreciate a professionally upholstered piece of furniture it’s very silly to suggest anyone trying their hand at it would somehow be offensive. Should we not cook because there are professional chefs? Or paint our homes because there are professional painters? Or plant our own vegetable gardens becausek there are professional farmers? Sorry that was put in the wrong place. It was a response to Kate. Me, too. I have two chairs that need upholstering. I had a very bad experience with my lady who let her daughter upholster a chair that I have had for 42 years waiting for just the right person/fabric. She ruined/chipped/broke the wood decoration, lots of hot glue mistakes and skimped on the fabric I provided. It’s been a year, now, and I’m still nauseous every time I look at that chair. I now have a compressor and staple gun and intend to re-do it and the other two chairs I have. I just need to know the procedure of materials to put into the seats. My son is my ‘other two hands’. Thank you for wonderful photos.